Each year, participating resorts in the Lake Tahoe area offer discounted tickets. 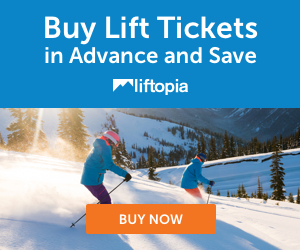 The proceeds from your lift ticket purchase go directly to the Excellence in Education Foundation, which provides enhanced educational opportunities for local students. Sugar Bowl – Saturday – Friday, December 15 – 21 – $35 lift tickets valid any one day from December 15 -21. Purchase tickets the week prior to the valid period at Porters in Truckee or Tahoe Dave’s. Tickets will be sold until December 14 or sold out. Royal Gorge – Monday – Sunday, December 17 – 23 – $15 trail passes valid any one day from December 17 -23. Purchases trail passes in advance at Paco’s in Truckee or Alpenglow in Tahoe City. Tahoe Donner Cross Country – Sunday – Friday, January 6-11 – $15 trail passes valid any one day from January 6 -11. Purchases trail passes in advance at Paco’s in Truckee or Alpenglow in Tahoe City. Homewood – Sunday – Friday, January 13 – 18 – $35 lift tickets valid any one day from January 13 -18. Purchase tickets the week prior to the valid period at Porters in Truckee or Tahoe Dave’s. Tahoe Donner Ski Area – Sunday – Friday, January 27 – February 1 – $25 lift tickets valid any one day from January 27 – February 1. Purchase tickets the week prior at Porters Sports or Tahoe Dave’s. Tahoe Cross Country – Sunday – Friday, January 27 through February 1- $15 trail passes valid any one day from January 27 -February 1. Purchases trail passes in advance at Paco’s in Truckee or Alpenglow in Tahoe City. Resort at Squaw Creek Cross Country – Sunday, February 3 – Saturday, February 9 – $15 trail passes valid any one day from February 3 – 9. Purchases trail passes in advance at Paco’s in Truckee or Alpenglow in Tahoe City. Sugar Bowl– Saturday – Friday, March 23 – 29– $35 lift tickets valid any one day from March 23 – 29. Purchase tickets the week prior at Porters Sports or Tahoe Dave’s. Tickets will be sold until March 22 or until sold out. Squaw Valley and Alpine Meadows – Sunday, April 7 to end of the season – $35 lift tickets valid any one day at either resort from April 7 to the end of the season. Purchase tickets in advance at Porters Sports in Truckee or Tahoe Dave’s.